I have enjoyed making macaroni and cheese incorporating smoked cheeses, such and Gouda and mozzarella. Smoking the entire dish brings it to a new level. For this recipe, using the Masterbuilt Digital Electric Smoker works well. You could also use the Analog Smoker if that is what you have. The temperature and timing should be similar. The recipe developed here calls for 2 cheeses, sharp cheddar and Gruyere. Both are from cow’s milk, but with less lactose (milk sugars) in them than some other cheese varieties. They melt extremely well and hold up when smoking for an extended time. They also have two distinct flavors. The cheddar is sharp and tangy, while the Gruyere is a softer Swiss variety that is unpasteurized, or raw, with a nutty flavor. The textures complement one another. This recipe will serve up to 8 people. Preparation time is 15 to 20 minutes. Cook time is approximately 1 hour. If you are serving this as a side dish with smoked meat, start the meat recipe well ahead of time so both dishes are finished together. This pairs well with either smoked brisket or smoked pork loin. You can make a nice heirloom tomato salad to round out the meal while the mac and cheese is smoking. The salad recipe follows the pasta recipe. 1. Add desired, soaked wood chips to the slide-out drawer of your smoker. Preheat your Masterbuilt Electric Smoker to 225 degrees F.
2. Bring a large pot of water (about a 4 quart pot) to a boil and add 1 teaspoon of the salt. Cook the macaroni in the salted water as directed on the box, approximately 6 to 8 minutes so that it is still a tad al dente. Drain in a colander. While the pasta cooks, grate the cheeses. 3. In the same pot, melt 6 tablespoons of the butter. Gently whisk in the flour a little at a time until it is well blended with the butter. Cook down for 2 minutes until thick. Meanwhile, heat the milk in 2 to 4 cup batches in the microwave until just warm, not boiling. 4. Add the warm milk, 1 cup at a time and whisk it into the roux. Cook for 2 minutes until just creamy and starting to thicken, like a béchamel sauce. 5. Remove the pot from the heat and add the grated cheeses to melt. Stir in the nutmeg, salt, and pepper. Gently stir in the macaroni to coat with the cheese sauce. 6. In a sauté pan, melt 2 tablespoons of butter. Season the melted butter with salt and stir in the breadcrumbs. 7. 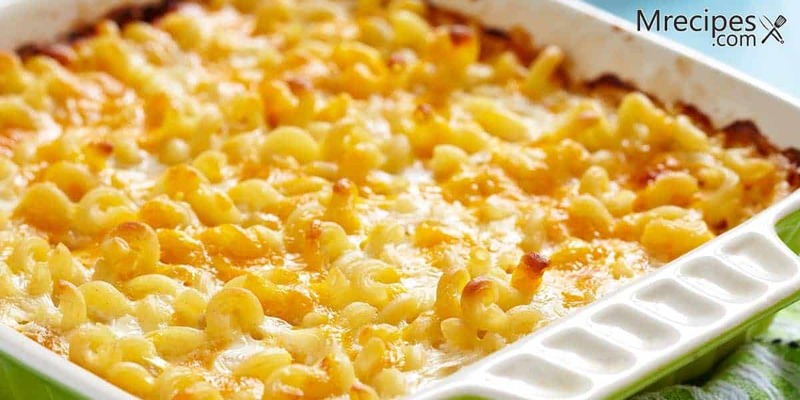 Pour the macaroni and cheese mixture into a heat-proof or disposable, foil 3 quart baking pan. Cover the top of the dish with the buttery breadcrumbs. 8. Smoke for approximately 1 hour until the cheese is bubbling and the bread crumbs are toasty and browned. Serve while it is piping hot. Heirloom tomatoes have been hitting farmer’s markets for a while now. These are the tomatoes that are grown from preserved seeds from fruits that have not been altered or cross-bred. They come in wonderful colors, such as orange, yellow, and purple. Some are uniquely shaped and very interesting to look at. They are sweet and juicy. You will often see them late in the summer and early fall. This recipe will serve 6 to 8 people. Preparation time is approximately 10 minutes. 1. Slice the tomatoes into 1/4 inch rounds and arrange them on a platter. 2. Drizzle the EVOO and vinegar evenly to coat the tomatoes. 3. Add salt and pepper all over to taste. 4. Right before serving, tear the basil leaves from the stems and place randomly over the top of the entire dish. Serve immediately. For a gluten free version, try brown rice macaroni, sorghum flour, and gluten free panko bread crumb. If you can’t find the GF variety of panko, just crumble your favorite rice or nut crackers on top. Add about 2 cups of sliced shitake mushrooms that have been lightly sautéed to the cheese and pasta mixture. Add different types of cheeses to the mixture, such as goat cheese, pepper jack, or even some cream cheese. Make it a decadent lobster or crab mac and cheese. Use cheese crackers, instead of breadcrumbs, for the crunchy topping. Crumble cooked bacon all over the top. All of these ideas will work just fine in the smoker. Macaroni and cheese is one of those classic dishes that is easy to get creative with. It also makes for great leftovers.